Using video in the classroom can be a wonderful tool to assist in teaching a lesson. If not done correctly, it can also give students an opportunity to catch up on some sleep they missed the night before or write a note to their friend sitting across the room. Try the suggestions below to help enhance your lessons with video to create an engaging environment for your students. When you are playing a video, stop the darn thing and talk about what you are watching! If there is an important point you want to make sure the kids understand, pause the video and start a discussion. I like to have specific times plotted out for when I will stop the video and ask certain questions or start a discussion. The students will learn more from the video if you use it as a tool for instruction instead of a replacement for instruction. Please don’t play a video and then sit in the back to grade papers. It doesn’t need to be a big thing to play a video in the classroom. In the middle of a lesson, you can say, “I don’t think you’re quite picturing what I mean. Check out this video!” There were many times that I would find a video less than a minute long to give the kids a visual representation of something we were doing in class. For example, before building our own electromagnets with iron nails, copper wire, and a battery, I played a video of a giant electromagnet at a junkyard to start a discussion on how an electromagnet is different from a fridge magnet. Kids don’t have crazy long attention spans and short videos or small portions of longer videos are often the way to go! This one seems obvious but I can’t tell you how many times I have seen teachers play a video last minute because they need to fill the time or they are starting a lesson and remember a video they think might apply to what they are doing. It is important for the teacher to KNOW which parts of the video are relevant so they can skip over the fluff. 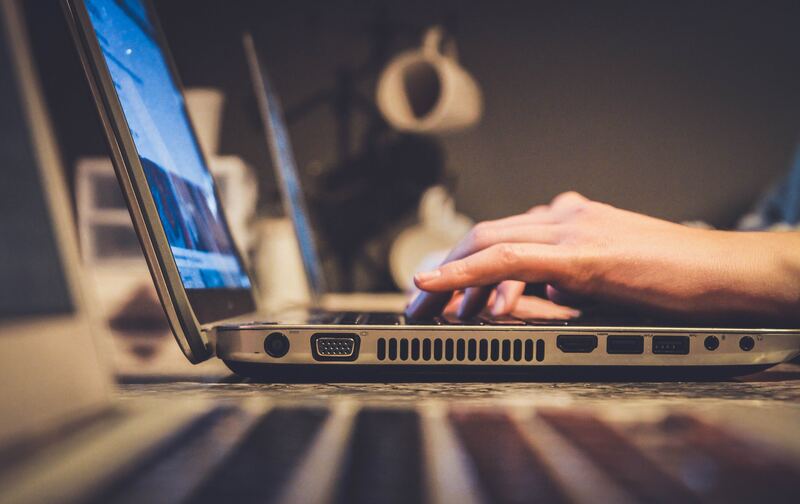 As stated above, the teacher should also help lead a discussion about different parts of the video and it can be much more difficult to prompt conversation if the contents of the video is unknown. 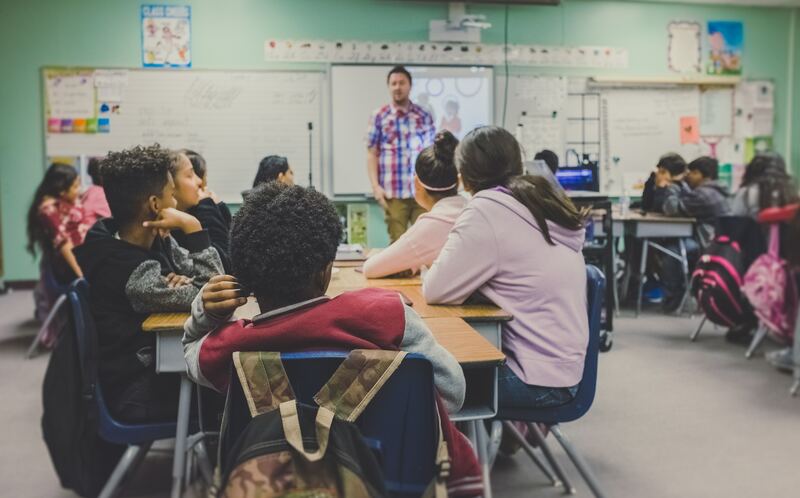 Often times when we play a video in the classroom, our students are already expecting a dry, monotone voice speaking over images of educational topics. It doesn’t need to be this way. Whenever I am watching a movie, music video, or video online, I am looking at it with an educational lens. I’m constantly thinking, “How can I use this in my classroom?” It’s okay to use a snippet from Harry Potter to discuss the character’s voice inflection or word choice for a language arts class. It’s okay to use the clip from The Karate Kid as he waxes the car to teach clockwise and counter-clockwise. Be creative and find videos that work for the topics you are covering that may also be interesting for your students. Give your students a purpose for watching a video. Worksheets or note requirements work fine but students can sometimes get caught up in writing every word they hear and end up missing important information. If you choose to do notes, I prefer guided notes where students fill in the blanks as they are watching. Another easy check for understanding during a video is to have the kids stand when they make a connection to the content that is being taught. In my classroom, I would then stop the video and let different students explain their thinking. I have also had my students make tally marks to document how often something specific is happening. For example, when teaching about simple machines, we watched the music video for This Too Shall Pass by OK Go. As we watched, students put down a tally mark to count how many simple machines were shown throughout the clip. 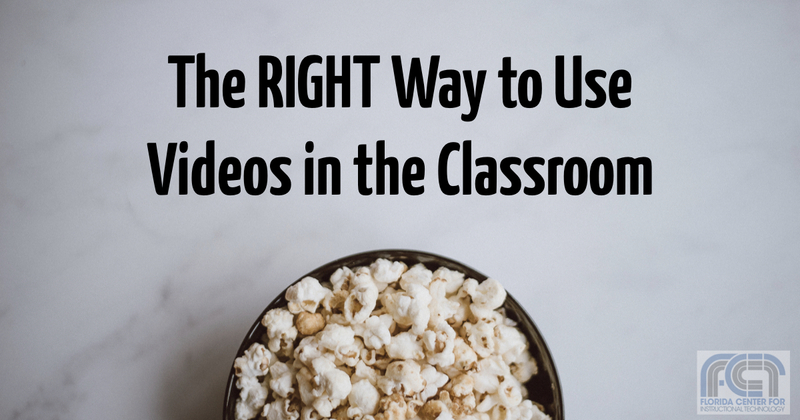 Videos in the classroom are a great tool to enhance teaching if they are used appropriately. Good luck and have fun engaging your students!